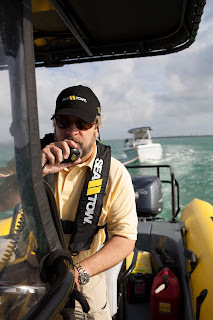 In honor of Sea Tow's 30th Anniversary and to help kick-off boating season, the on-water assistance company is in the midst of promoting a contest they are calling the 30 Days of 30 Gifts Giveaway. 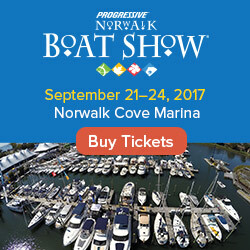 This unique and family-oriented show, which returns to Milford for the second year in a row, features new sailboats, trawlers, downeast-style powerboats, catamarans, kayaks, paddle boards and select brokerage yachts for sale, from 12 to over 50 feet. 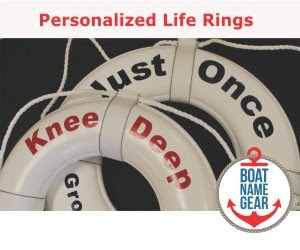 Additionally, a variety of companies will be on-site offering small boats, personalized boating gear and other products and services; exhibitors include our friends from Boat Name Gear. 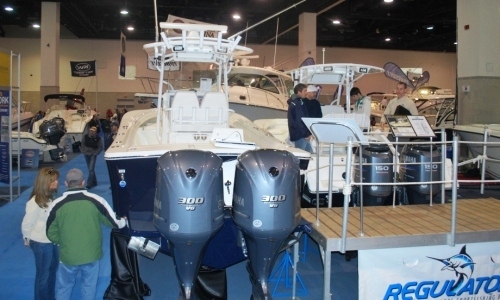 For more info on upcoming boat shows, check out our boat show calendar! 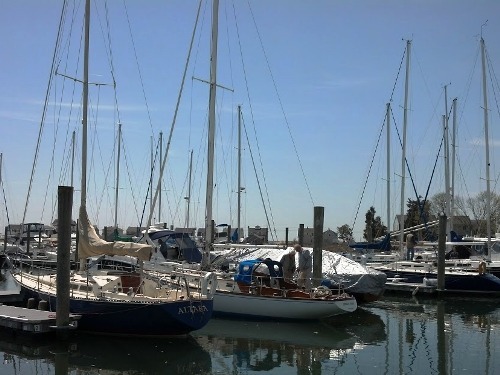 The U.S. Coast Guard released its 2012 Recreational Boating Statistics earlier this week. This is the sobering annual survey that provides a look at boating accidents, their causes, and the resulting injuries and deaths. This week, a new law goes into effect that boaters in the state of Georgia should pay attention to... Especially those that enjoy a couple of cocktails while out on the water. Georgia has passed a tough new boating under the influence (BUI) law, and it goes into effect this Wednesday, May 15, 2013. The new legal blood alcohol level of a boat operator has been lowered to the same level that it is on the road - from .10 to .08. Additional legislation in the state requires younger boat operators to take a boating education course beginning in July of next year, and effective immediately, all children under 13 are required to wear life vests. 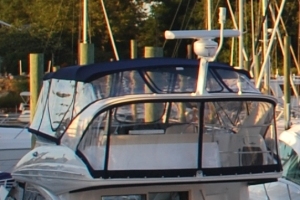 For more on Georgia's boating laws, visit FirstBoat's local boating page for Georgia. 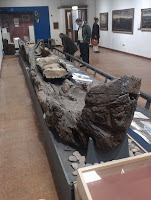 Researchers say that a log boat discovered on the east coast of Ireland could be anywhere from a few hundred to several thousand years old. 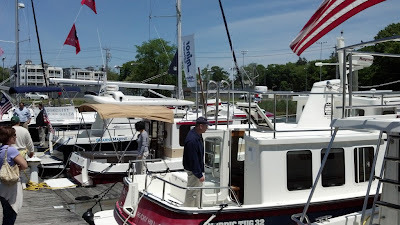 "Hey, why don't we spend Mother's Day walking around a marina or convention center looking at fishing boats and outboard engines," said no wife or mother ever. Boat show organizers realize this. Hence, there are no boat shows this weekend. The Daily Boater received the following email from the America’s Cup media team last night. There is not much to add other than our condolences to Andrew "Bart" Simpson's family, friends and teammates. It is with immense sadness that Artemis Racing confirms the tragic death of crewmember Andrew ‘Bart’ Simpson today in San Francisco. Andrew, a British double Olympic gold medallist, was one of the 11 man crew aboard Artemis Racing’s AC72 catamaran which capsized during training on San Francisco Bay ahead of this summer’s America’s Cup. All other crew are accounted for. Simpson however was trapped underneath the boat and despite attempts to revive him, by doctors afloat and subsequently ashore, his life was lost. The boat show season may be slowing down, but there are still a few good shows around the country and around the world, including Texas, Rhode Island and Ohio. For the latest installment of the Daily Boater's Marine Product Review, Mark Sutton of MarineProductReviews.com checked out Bees Knees Zipper Wax. 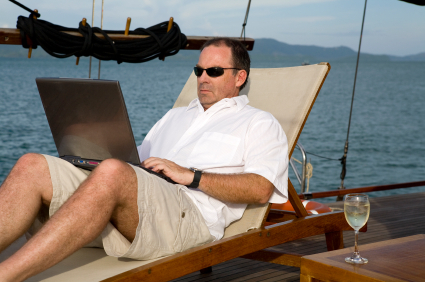 Are you interested in having your product or service featured in a future Marine Product Review on multiple boating websites? Get the details here or contact Nautical Sites Media for more info.